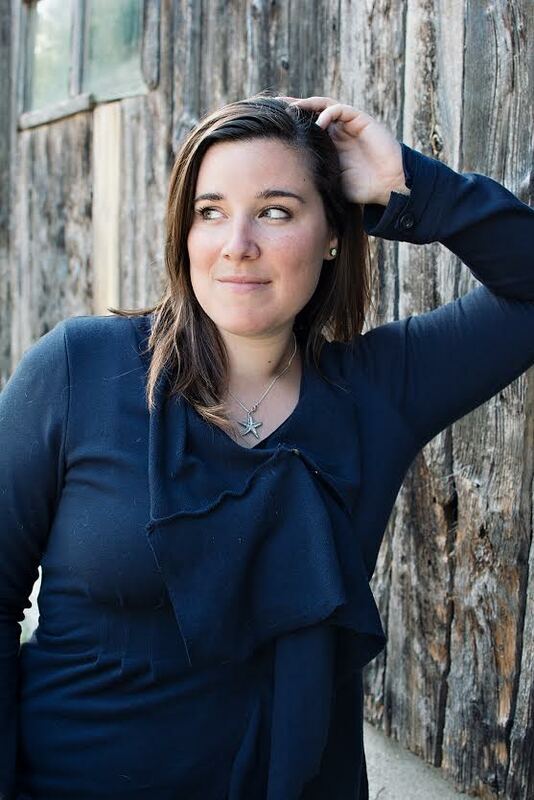 Spotlight: Altruist Apparel | Finding delight. Hey friends! 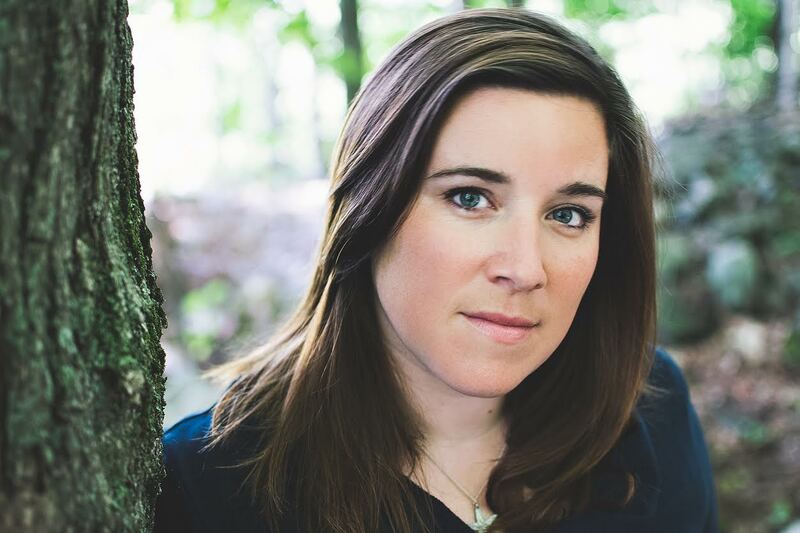 Today I’d like to introduce you to Amy – founder and operator of Altruist Apparel. When I first found out about Altruist Apparel, a small company that believes in wellness and empowerment for women all over the world, I fell totally in love. Their designs feature words, phrases, and symbols that invoke fire within the female spirit. Across the globe they seek to help women and girls by donating a portion of all their proceeds to organizations that help women and girls in developing countries have safe access to education, health care, and living conditions. How cool is that! Hi Amy! Can you tell Finding Delight readers a little bit about yourself and Altruist Apparel? Hey Beth! I am an editorial photographer and designer based in Toronto, Ontario, Canada. Before leaving my 9-5 to pursue my creative businesses full-time, I worked as a children’s mental health worker which had it’s good times, but in the end just didn’t fulfill me the same way being creative for a living does. Altruist Apparel was birthed from a spark of an idea — to create an online business that somehow inspired and affected change in the world. I’ve always felt vehemently about women’s issues, both at home and abroad, and I’d recently gotten the idea to design t-shirts for another startup that I’m planning with my partner. The two combined in a brain explosion that was pretty epic. It kept me up half the night thinking and planning it all out and by morning I’d already established 90% of the Altruist Apparel brand in my mind. 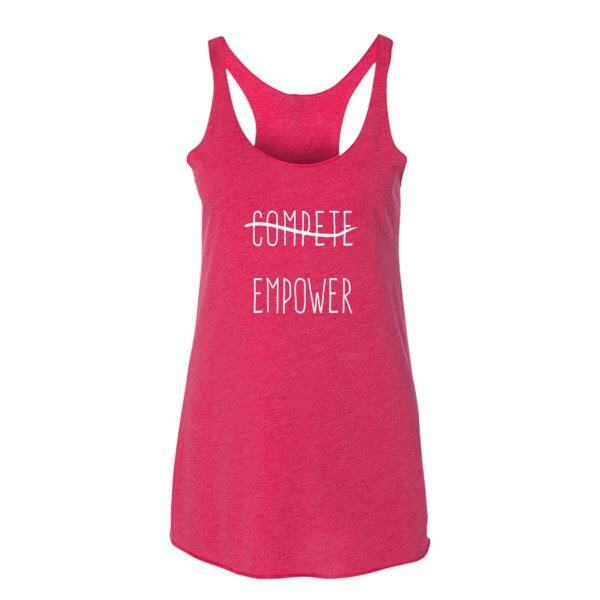 Altruist Apparel features designs that promote women’s empowerment, resiliency, and community over competition, in an effort to help women here at home live their best lives. The other extremely important part of my business model is to donate 15% of all profits to an organization that helps women and girls gain safe access to education and health care, and addresses social issues like child marriage and gender-based violence. I teamed up with Plan International’s Because I Am A Girl project because they do such a fantastic job doing just that! Does your background as a children’s mental health worker help you craft the sort of messages you want your company to stand for? Absolutely. Throughout my work in children’s mental health and child welfare, I’ve had a lot of adolescent girls on my caseload who are brilliant young women with so much potential. Unfortunately many of those girls will never end up realizing their potential, due to issues with self-esteem, familial and social issues, school difficulties, drugs, alcohol, and even prostitution. 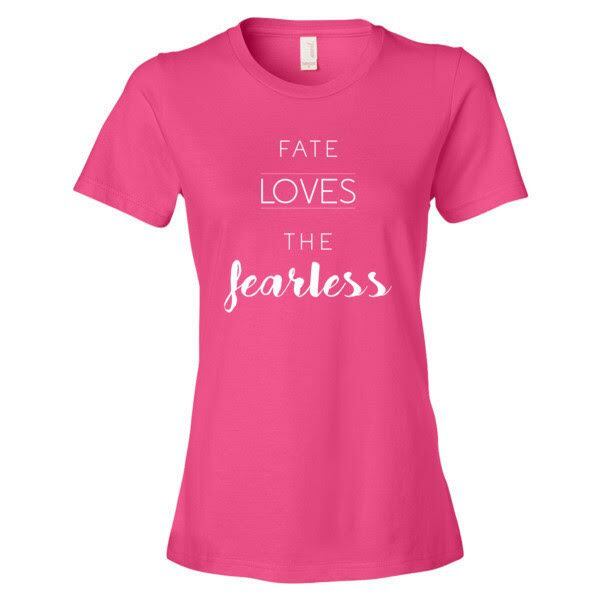 Altruist Apparel’s messages of empowerment, strength, and resiliency are often inspired with them in mind; messages I wish they could internalize and believe, and that would help them combat their demons and live their best life. Some of the girls I’ve worked with have been able to do that, and they are the embodiment of these messages. How would you describe your personal style? Did it play a role in your vision for Altruist Apparel? It sure did! I am a jeans and t-shirt kind of girl. As I write this, I am wearing a black t-shirt with a picture of a cat with wings on it and the caption “dreams come true.” I didn’t design it, but I wish I had! I love how t-shirts can be worn while working out, hiking, or camping, but also under a cute blazer with a pretty necklace and hot shoes. T-shirts are my uniform, so designing t-shirts seemed a natural fit for me. Altruist Apparel is currently focusing fundraising efforts on Plan International’s Because I am a Girl project. Can you tell us a little bit about this organization and why you chose it? Plan was founded in 1937 and is one of the world’s oldest and largest international development organizations. The focus of the organization as a whole is to improve the lives of children, and the Because I Am A Girl project focuses specifically on issues faced by girls. 62 million girls world-wide are not in school. 15 million girls are forced to become brides before the age of 18. Girls are twice as likely as boys to become malnourished. And millions of girls are victims of gender-based violence. I chose the organization because it covers the issues that are most important to me. There are numerous organizations out there that do phenomenal work, and I hope to work with more of them in the future. When designing your apparel, who do you envision wearing the results? Women with undaunted, unbridled spirits. Women with fire in their hearts and a will of iron. These are the women I design for, and the kind of women I aspire to be. I also design girls’ shirts and onesies so we can start them young. A lot of the messaging young girls are receiving is downright concerning. Girls are taught to place value in being pretty, in being fawned over, and in having the attention of boys. I find the whole idea of raising girls as little princesses downright sad. I think we need to raise warriors, not princesses. 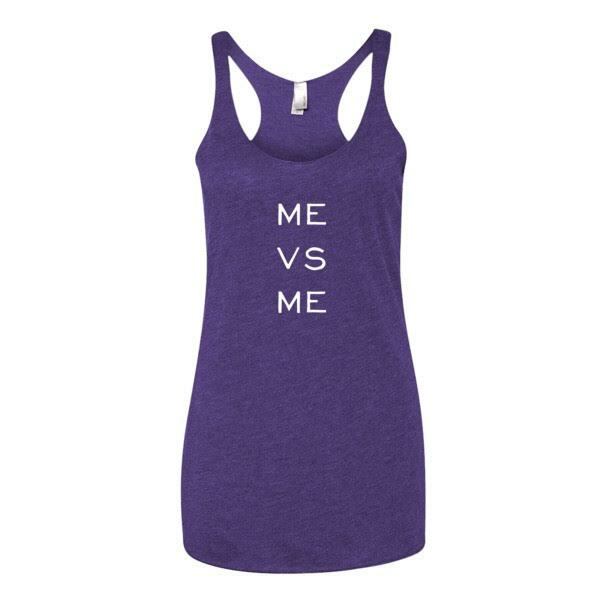 I absolutely love the message behind ALL the phrases and words you’ve chosen for your shirts, tanks, and onesies. Can you tell us about some of your favorites and how you chose them? The quote “Fate whispers to the warrior, you cannot withstand the storm. The warrior whispers back, I am the storm” gives me chills every time. I absolutely love it. I want to get it tattooed on my body. It’s not an original of mine, it’s an older quote that is of unknown origin, but damn it packs a punch. 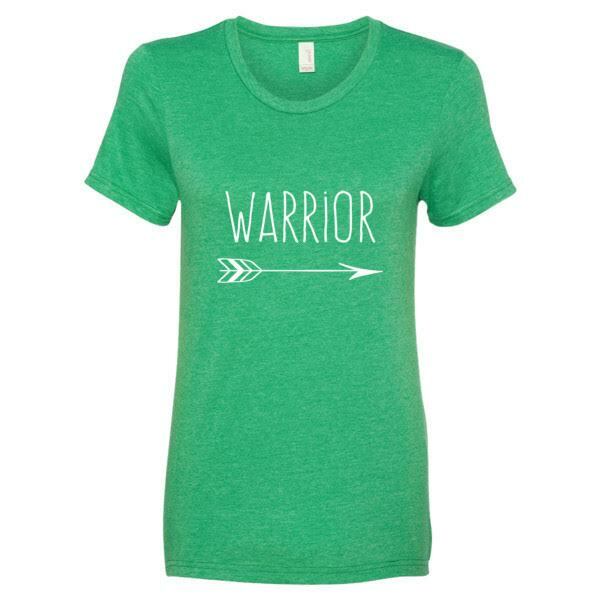 I also really dig the warrior shirt, because I’m really into the idea of the modern day warrior. A couple of years ago I shot a fashion editorial with a warrior girl theme. We had bows and arrows and really awesome war paint for the models’ faces. It was an incredible, creative experience and helped me form this idea of the modern day warrior woman that I love. I also love the thought of women enduring adversity in their lives with the strength, determination, courage, and pride worthy of the warrior title. My warrior shirts really resonate with me for that reason. What do you hope Altruist Apparel will look like in one year’s time? P.S. To keep up to date with news and products, you can follow Altruist Apparel on Facebook HERE and Instagram HERE. I love this! Such an inspiring way to spread awareness and positivity through clothing. Totally! I love what Amy is doing and her designs are cute to boot!